Former EA mobile VP Mitch Lasky has added to the criticism at the John Riccitiello-helmed Electronic Arts, saying that the publisher "is in the wrong business." It's not a good week to be leadership at Electronic Arts. First, EA announced that its fiscal turnaround was taking longer than expected, delaying potential heavyweight MMOG Star Wars: The Old Republic to Spring '11. Then, analysts heavily criticized CEO John Riccitiello's performance leading the company, pointing to the publisher's slide in stock value since he took control. Now, a former EA executive is backing them up - Mitch Lasky had been one of the men at the helm of EA Mobile, the cell-phone-games division, before departing the company for greener pastures. In a scathing post to his blog, Lasky lambasted the EA Games label for churning out unsuccessful, expensive titles, blaming it all on the failure of the company's leadership to adapt. "EA is in the wrong business, with the wrong cost structure and the wrong team, but somehow they seem to think that it is going to be a smooth, two-year transition from packaged goods to digital. Think again," wrote Lasky. 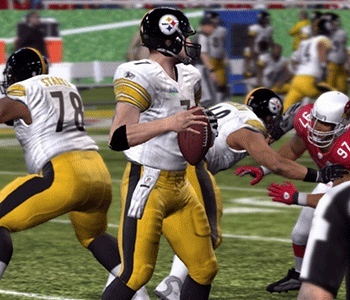 "EA's sports business has been hamstrung by vastly increased licensing costs and failure to transition to a subscription/variable pricing model. This has substantially reduced the profitability of a business that EA used to rely on to fund other, riskier bets." Interestingly enough, one of Riccitiello's greatest failures (according to Lasky) has been something applauded by gamers and journalists alike - the man's focus on creating new IPs in order to grow the company has been risky and ultimately unfruitful, claimed Lasky, underscoring the statement with a belief that Dante's Inferno (I don't think that really counts as a "new IP?") and The Old Republic (for that matter, I don't think that one does either) would be failures. "It's been a very ugly scene, indeed. From Spore, to Dead Space, to Mirror's Edge, to Need for Speed: Undercover, it's been one expensive commercial disappointment for EA Games after another ... Not to mention the shut-down of Pandemic, half of the justification for EA's $850MM acquisition of Bioware-Pandemic. And don't think that Dante's Inferno, or Knights of the Old Republic (sic), is going to make it all better. It's a bankrupt strategy." As much as I hate to admit it, the facts do seem to be on Lasky's side. For all the good that new IPs bring the industry, sequels are by far the most lucrative way to go in the business, and sequel-and-franchise-focused rival Activision has been laughing all the way to the bank for just that reason. Are the days of the "new EA" numbered? For all we can brush off Lasky's accusations and applaud a major publisher for promoting new IPs and (relative) innovation, it's EA's investors that ultimately have their say - and at the end of the day, a title that doesn't sell is a title that investors won't back.